While prostitution has long been regarded as the first profession and lawyers as close second, the banking profession is clearly the third oldest known to humankind. The invention of banking preceded that of coinage by several thousand years. Banking appears to have originated in Ancient Mesopotamia. 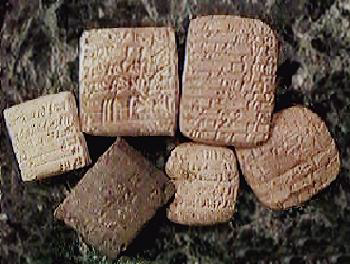 Receipts in the form of clay tablets were used to record transfers between parties. Among some of the earliest recorded laws (Code of Hammurabi), pertain to the regulation of the banking industry in Mesopotamia. The development of banking in Mesopotamia is quite interesting. It illustrates that all the modern practices such as deposits, interest, loans and letters of credit existed from the time of the first great civilizations on earth. In effect, these clay tablets were the forerunner of our more modern paper money systems that emerged in China by 900 AD and in Western culture by the 18th century. The distinction appears to be that these clay tablets were more of a bank draft or money order issued by the private sector rather than by the state. In that respect, they were a function of the banking system that facilitated the development of an officially sanctioned form of standardized monetary system. parties during the Ptolemy era including trade, taxes and donations to the gods. Even in the aftermath of the metallic monetary system, grain banks continued to serve as a medium of exchange in Egypt. Precious metals appear to have been used in international trade or in military conquests more so than in local transactions during the early centuries. Naturally, grain deposited in a bank in Egypt would provide little use to a third party in Asia Minor. Eventually, the metallic monetary system displaced the use of grain as a medium of exchange by the Roman era. Banking emerged in virtually every city of the ancient world. In Athens, as in most cities, banking had been conducted exclusively on a cash basis. The first offshore banking industry seems to have emered in the tiny and remote island of Delos. Here the islanders had little natural resources. Their two greatest assets were the natural harbor and the wealthy temple of Apollo. In Delos, cash transactions were replaced by an actual system of credit receipts and payments. Accounts were maintained for individual clients who could send instructions to make payment to another’s account. Due to the rise of Rome, Delos’ competitors were eliminated – namely Carthage and Corinth. This allowed the tiny island to prosper in its banking industry thus providing a model system for the Romans to imitate. Banking and money changing appear to have been closely centered around temples. Often great temples served as treasuries holds vast sums of wealth donated by its followers. At times, various rulers would borrow from these treasuries at a prescribed rate of interest. Thus, temples provided a center around which civilization grew through its interactions. The emergence of the banking system was an integral part in the development of civilization. Even as the monetary system gravitated toward a metallic form during the Hellenistic era, the banking industry was needed for safekeeping as well as money changing. As the standardization of coinage began to take hold among the Greek city-states, the variety in weight standards created a demand for foreign exchange transactions thus creating the profession of moneychangers. The famous episode from the Bible (New Testament) where Christ overturns the tables of the moneychangers in the Temple of Jerusalem (Matthew 21.12) demonstrates how wide spread the banking industry and foreign exchange dealers had become by the 1st century BC. The tables utilized by the money changing trade were trapezium in shape and usually marked with a series of lines and squares used in calculations. This is the origin of the word “trapezitai” – the name used for Greek bankers. The word “bank” owes its heritage to the Italian word “banca” meaning bench or counter. This need to store wealth greatly increased the ability to borrow thus allowing the foundations of modern day credit to emerge. The development of the banking industry was a milestone in the evolution of civilization. Both the banking industry and the monetary system fostered interaction among the peoples of the world thus allowing international trade. This new age of interaction is the foundation of civilization. It is as important as humans forming primitive societies in order to hunt and gather food in a cooperative manner thus fostering the need to develop language. Indeed, banking had come a long way since the Babylonians had first invented it to serve in effect the basic function of a monetary system – the transfer of wealth among individuals as well as the collection of taxes. The Ptolemies of Egypt developed the two-tier monetary system using precious metals for international trade and grain for local monetary transactions. The Romans institutionalized banking building upon the Delos model but also attempted to standardize the monetary system of the world based upon a single world currency. However, in the aftermath of the fall of the Roman Empire, banking disappeared in the chaos of barbarian invasions. The collapse of Rome ushered in the Dark Ages. The absence of banking led to the brake down of trade and organization. Civilization had been dealt a severe deathblow in Europe. It would take several centuries to pass before general prosperity and a rise in culture and living standards would reemerge once again out of necessity. The rebirth place of the banking industry was the site of its former demise – Italy. In Italian city-states of Rome, Venice and Genoa. As international trade began to reemerge so did the need to transfer sums of money. As medieval society began to broaden its culture the development of financial services emerged. One of the earliest surviving documents comes from Genoa in 1156. A this document was a bill of exchange that was in simple terms a contract that enabled two brothers who had borrowed 115 Genoese pounds to make repayment by means of reimbursing the bank’s agents in Constantinople. 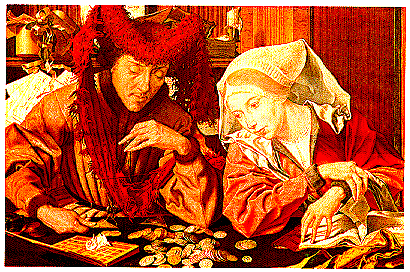 Banking quickly spread throughout medieval Europe emerging in France and England as well. A primary stimulus for banking requirements was none other than the Crusades. Basic banking requirements emerged out of the necessity to make payments for supplies and equipment. Waging international war was something that could not be accomplished without banking facilities that would enable the safe and speedy means of transferring huge sums of cash. It was the Knights Templar that began to provide such banking services based upon the Italian model. Indeed, the Knights Templar emerged as one of the wealthiest organizations during the medieval period. The banking industry remained largely tempered and controlled. Fees could be collected for providing a service but the practice of lending money for interest was strictly forbidden due to the Sin of Usury. The one bit of knowledge that had been handed down from ancient times was how the over use of credit cause the collapse of the state. As such, the Sin of Usury held that demanding interest to be paid from an individual in need was taking advantage of his situation. The line that divides the medieval period and that of the birth of capitalism comes in during the Protestant Reformation. Take away the religious slogans and the political corruption that emerged with the Church at that time and what you are left with is the economic reasons for the rebellion. Prior to the Reformation, banking had been exclusively conducted by the Jewish community. Their religion was the only one in the west that did not deem lending money to be a sin. Catholics, who engaged in lending for interest, ran the risk of being excommunicated from the Church. The Protestants used this restriction as evidence that the Pope was the Anti-Christ suggesting that he was attempting to control the people by prohibiting the buying or selling on credit, as similar to the warnings in the Revelations. Of course, this was an extreme interpretation of the Bible, but it served a political purpose. Economics credits the birth of capitalism with the Reformation because in the Protestant regions of Europe, Christians moved head first into banking. Eventually, the Sins of Usury gave way even among the Catholic nations. However, to this date high rates of interest are illegal and deemed to be usury. 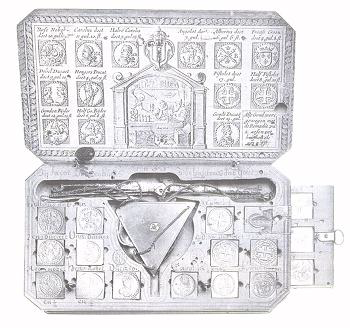 Prior to the Protestant Reformation banking in the middle ages centered largely on the goldsmiths. This tradesman group accepted deposits and issued receipts in return. This effectively created the rebirth of banking in the Middle Ages similar to that which had exists in Babylonian times. The above illustration shows a scale with specific weights for gold coins from around Europe. This demonstrates that trade, and the need for foreign exchange and banking, became widespread enough that professional tool kits found a prosperous market among the growing profession of banking. Prior to the Reformation, the Dutch emerged as a great financial center prior to Britain. With the “Glorious Revolution” in Britain in 1688, during the reign of William and Mary, an experienced Scottish goldsmith, William Paterson, operating in London proposed to Parliament his idea of a national bank. It was initially rejected and Paterson later wrote, “Others said this project came from Holland and therefore would not hear of it, since we had too many Dutch things.” Apparently, Parliament rejected the idea because the bank would issue notes against a $1 million pound loan from the government and the proposal called for the notes to be deemed legal tender. Within two or three years, Paterson was back at it again. This time he omitted any mention of bank notes being issued and the plan passed thus giving birth to the Bank of England. Neither Paterson’s revised proposal nor the Bank’s Royal Charter (illustrated above) makes any mention of paper currency. However, within hours of the Charter being sealed, Paterson and his board of directors met for the first time on Friday afternoon, July 27th, 1694. Between the Reformation and the default of the national debt on the part of Spain, which destroyed the Italian bankers, the banking industry prospered in northern Europe. However, with the rise of the British Empire, the banking center migrated to London. To this day, London has remained as the primary financial center within Europe. As with all things in life, the development of the banking industry has had its side effects. The process of providing credit allowed leverage to be reintroduced into the modern world. While leverage allows an individual to purchase items today using tomorrow’s future earnings, it also tends to create greater levels of inflation. Throughout the monetary history of the world, leverage has provided through the means of credit the boom and the bust effect within the economy. With it, the business cycle inevitably over-expands and over-contracts aid largely by credit. The greater the amount of credit, the higher the volatility within the monetary system. Nonetheless, the absence of banking and credit discourages human interaction and thus acts an impediment to economic and social growth. Too much debt and credit runs the risk of destroying the very foundations of civilization as witnessed by the fall of Athens and Rome. If there is one lesson to be learned from history, it is that need for moderation in both directions of the economic pendulum.